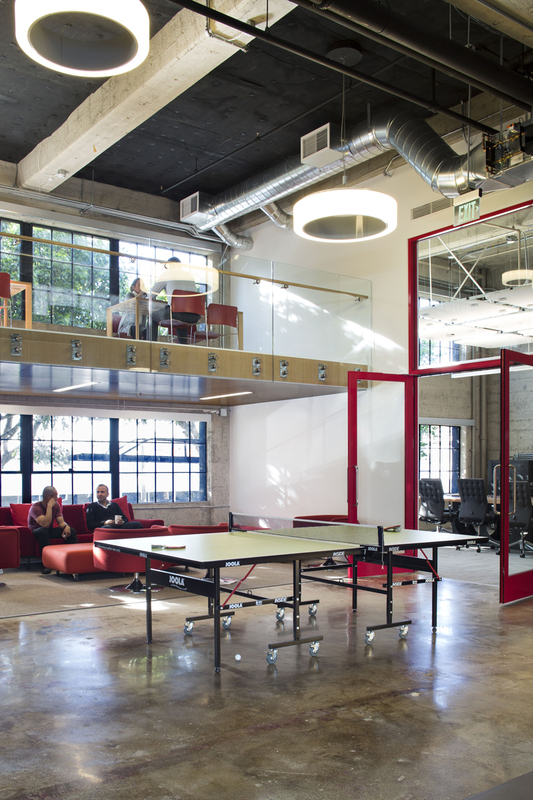 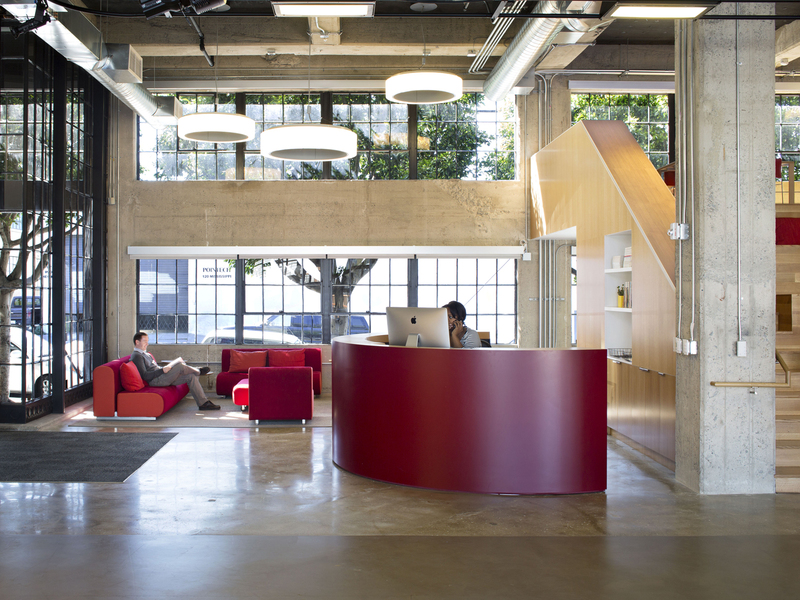 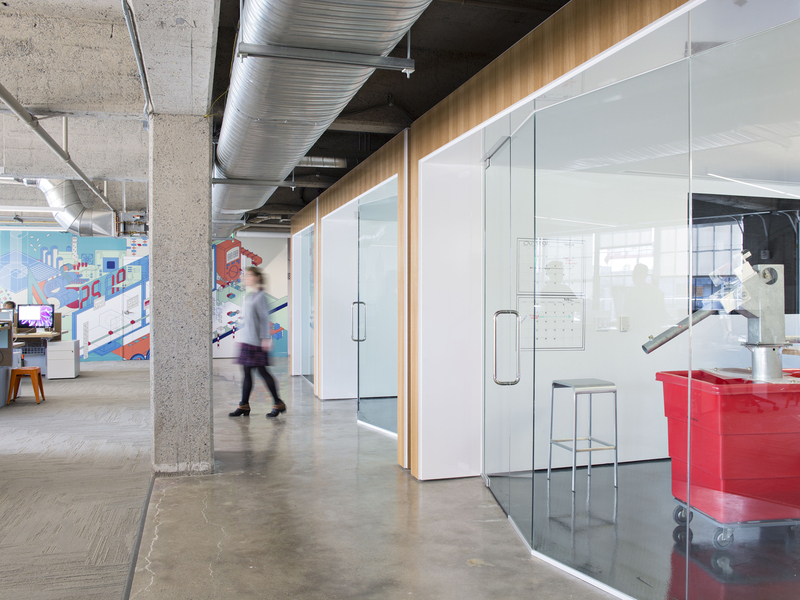 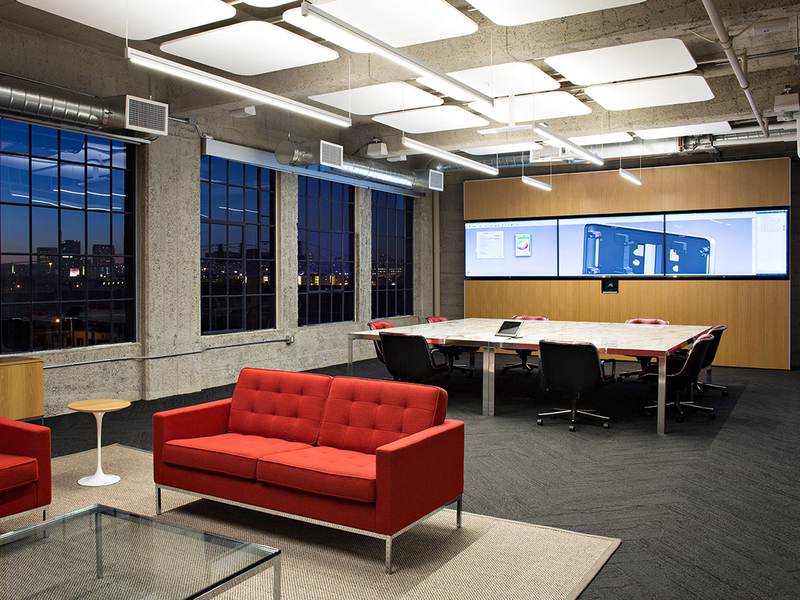 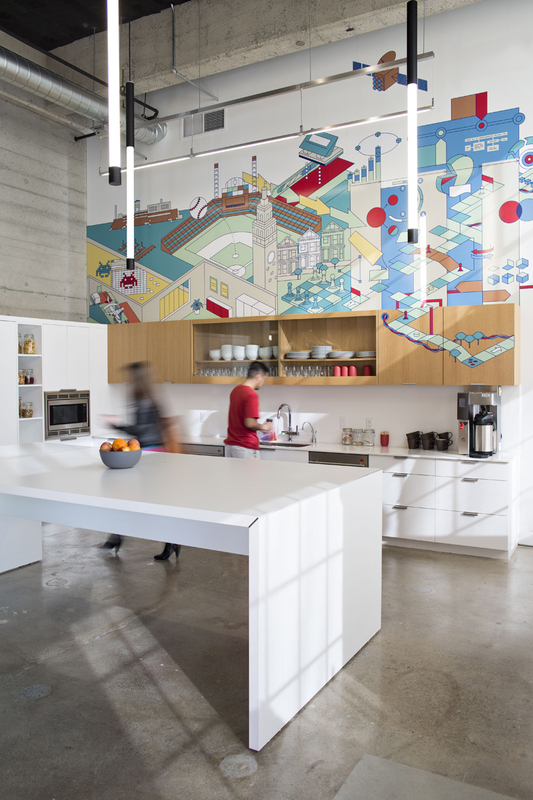 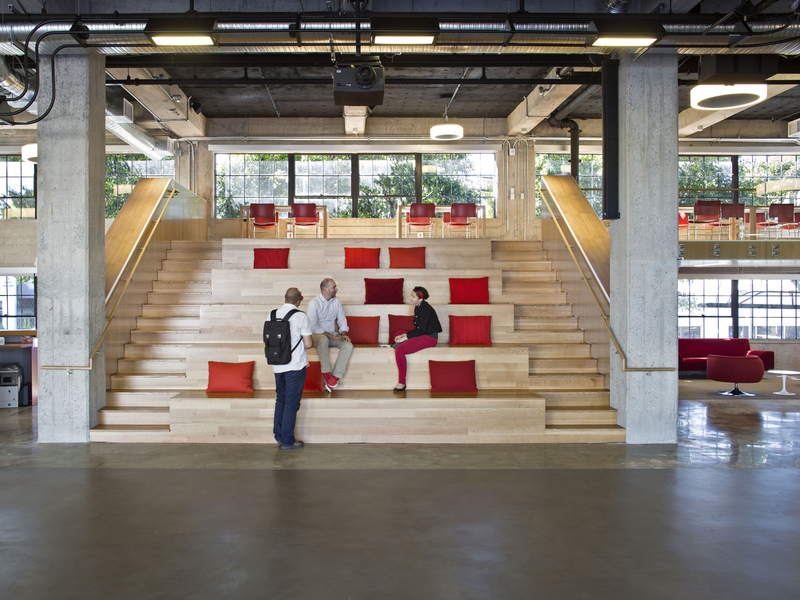 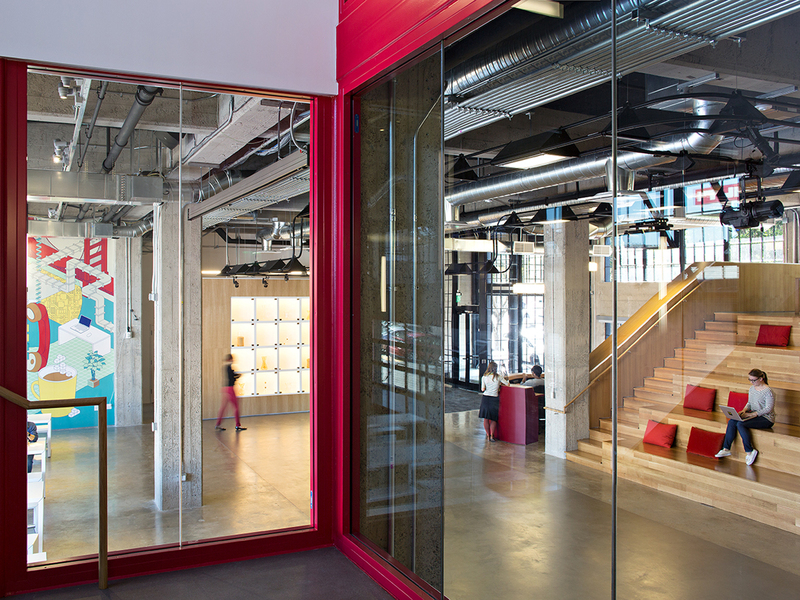 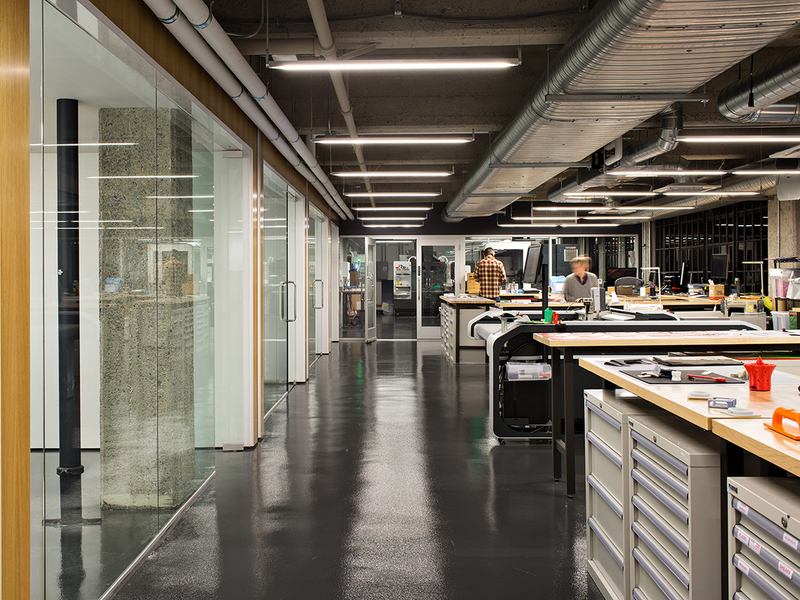 PCH International’s new San Francisco flagship office is housed within an adaptively renovated, 30,000 sq. 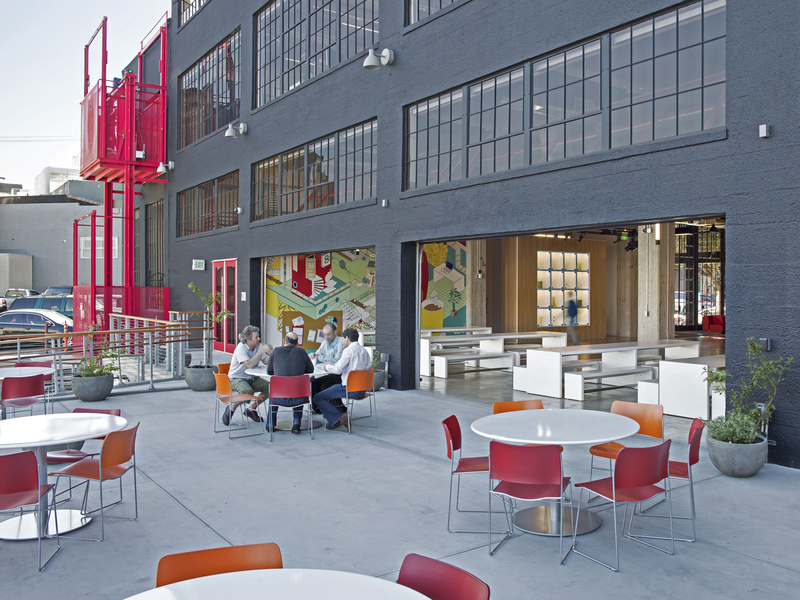 ft., three-story, historic, Potrero Hill Neighborhood warehouse highly visible from highway 280, the on-ramp to Silicon Valley, and amidst many of the city’s creative and technical makers, mover, and shakers. 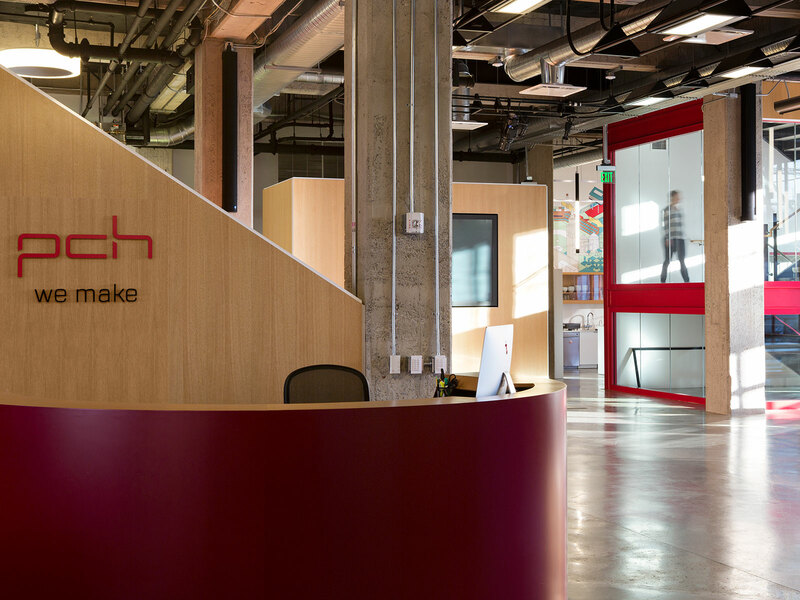 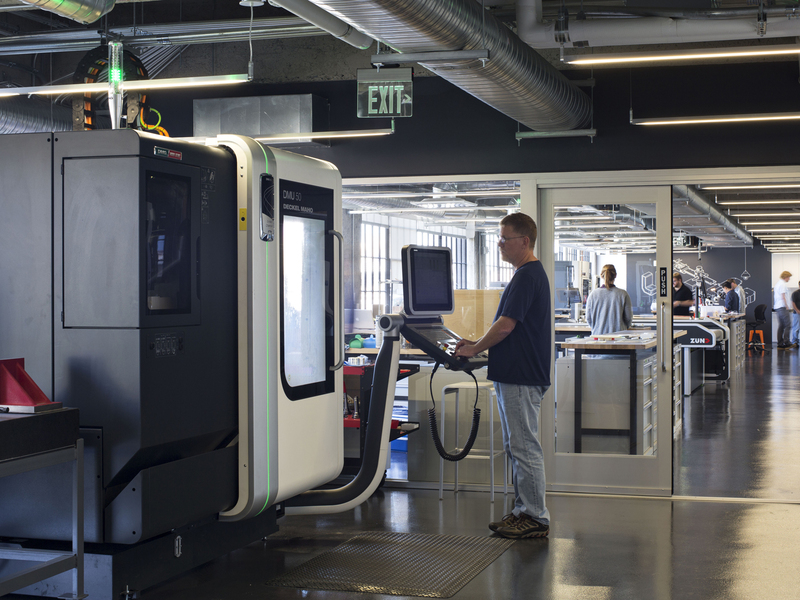 The principal design objectives were to make plain PCH’s multi-faceted product design, manufacturing, fulfillment, and distribution capabilities, and convey the buzz of interaction and productivity that is required to responsibly “ideate, develop, produce, and deliver”. 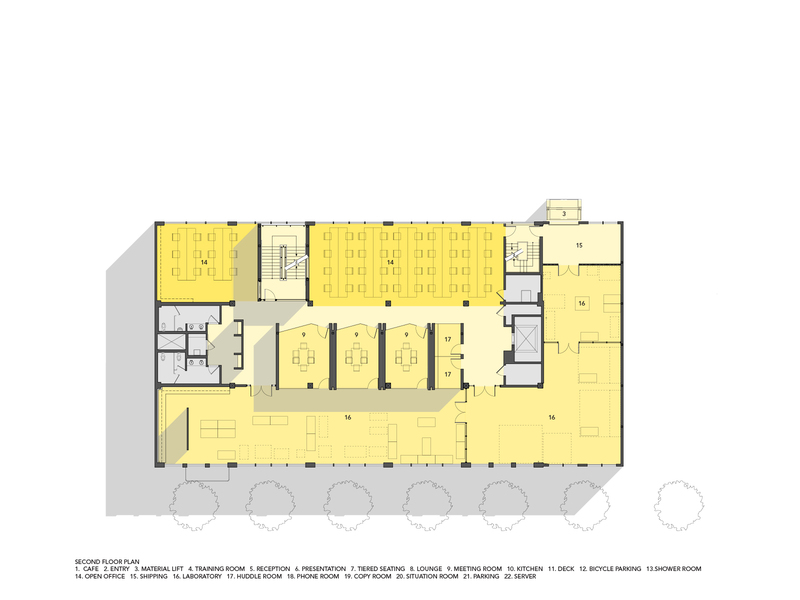 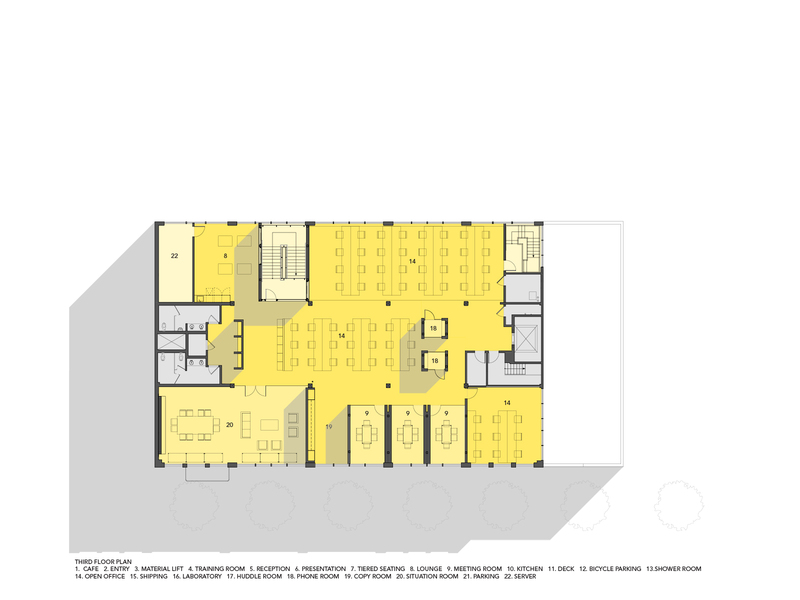 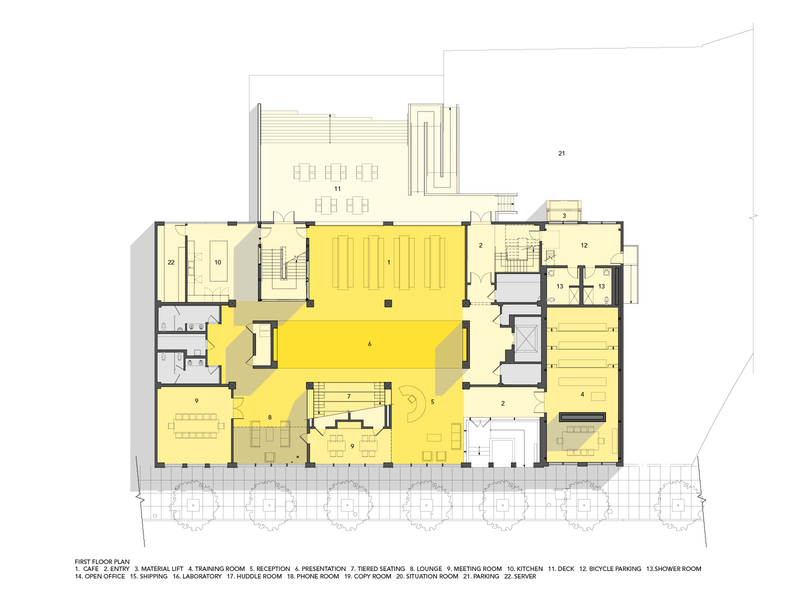 Additionally, filtered sightlines and through-building views from both interior and exterior vantage points were to be maximized, allowing staff and visitors to move, pause, discuss, peak, and access the activities within and throughout the building. 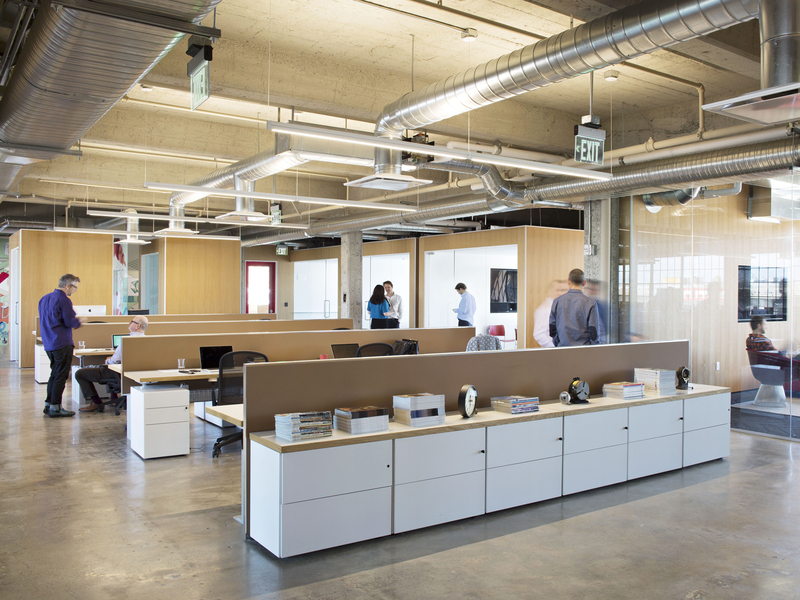 Beyond brand and process awareness, this project was required to achieve LEED ID+C Gold Certification. 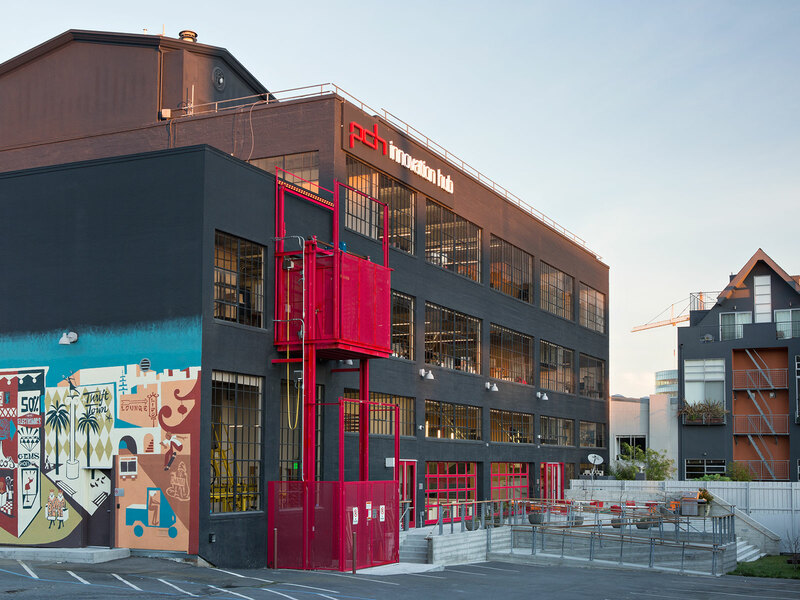 PCH’s operations were to be distilled and displayed within a high profile urban structure, conveying the company’s commitment to innovation, exacting standards, employee well being, and environmental stewardship. 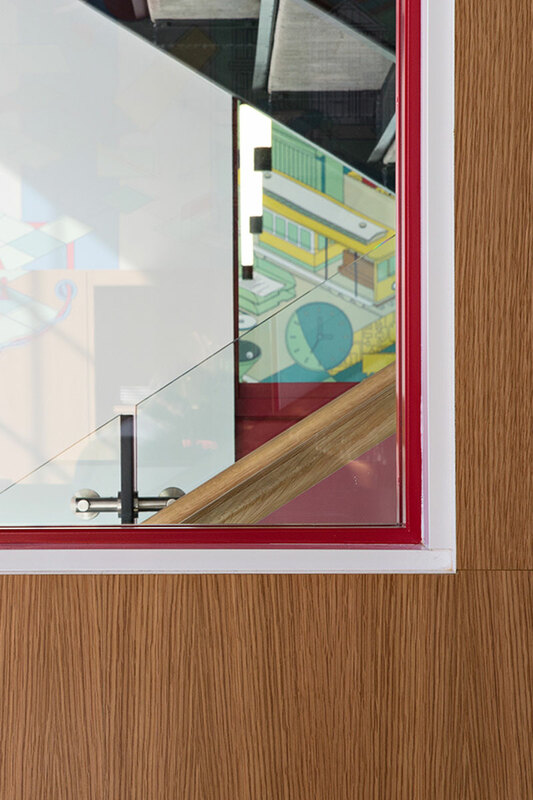 Tempered transparency is achieved through the use of a restrained material palette of finely detailed white oak, floor-to-ceiling glass, and painted steel. 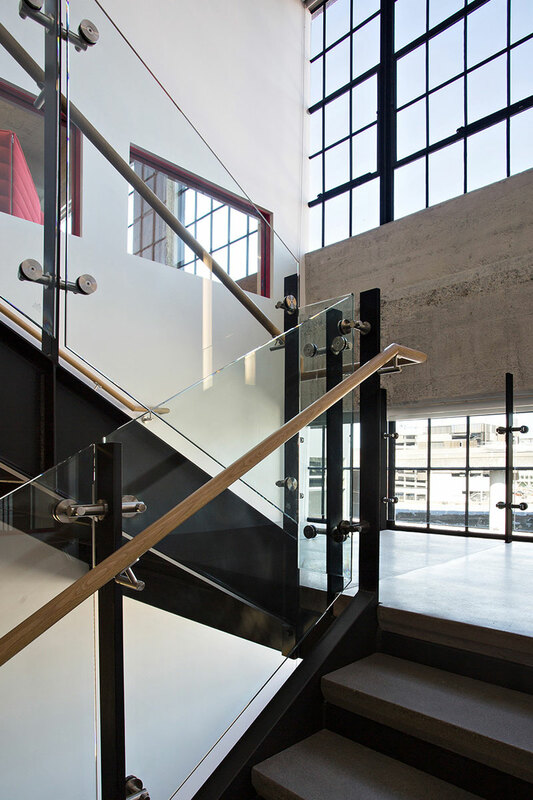 The detailing of these materials is a counterpoint to the patina of the original concrete and steel sash finishes – introducing 21st century technology and design into a 20th century container.